Can this be a real pic? Yep! It sure is. All the way from Kahului, Hawaii. 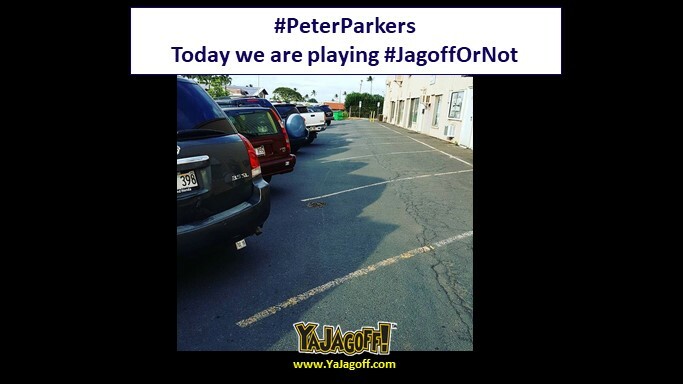 Ever since I spoke at the Hawaii Social Media Summit about talking Jagoffs, we continue to get Jagoff pics from there. W’e’re teaching the world about Jagoffery.. But back to the photo… soooooooooooooooooo nobody saw the lines on the ground and followed them? This all comes down to the first person that parked there, ya know! Is this a classic case of people being so unaware of their surroundings..including the lines that go the complete opposite way? We need your opinion! Comment below if you think someone is a Jagoff for not paying attention and the rest are jagoffs for falling in behind the wrong way. Mahalo to our Hawaiian friend, @808Nori_t for the pic from Instagram! Next articleWhat Are We Saving It For?